The Community of St Frideswide is an emerging network of expressions of Christian community sharing a common rule of life. Following the footsteps of St Frideswide, who founded the first Christian community in Oxford, we commit together to seek a deeper life of prayer which in turn equips a more adventurous and intentional life of mission. 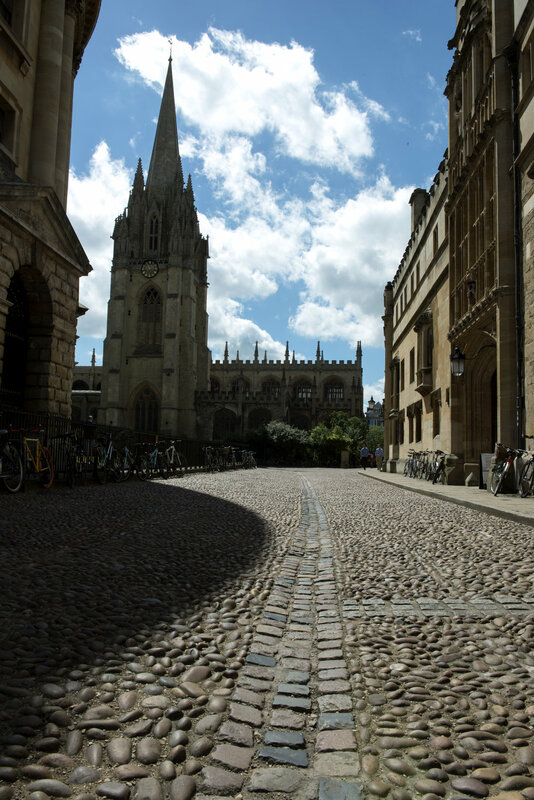 In the early 8th Century Frideswide, a young Saxon princess, defied convention and refusing an arranged marriage came to Oxford where she established her community. Her priory was made up of men and women who committed to prayer, to proclamation of the gospel, and to Christian service, and were highly influential in the foundation of the church in this city. Over a thousand years later, Christians from different backgrounds are gathering in The Community of St Frideswide. Some young adults will commit to a year of full-time residential community life. Other people of all ages will join in an expression of the community through their parish or chaplaincy. Some will look forward to the establishment of the dispersed expression of the community. We invite you to pray for us and to consider if you are being called to join us in this journey. The Community is founded on prayer. We gather together in regular patterns of daily common prayer, drawing from a wide range of Christian traditions. This year is an opportunity to explore vocations together, both lay or ordained, secular or religious, within the community 0r beyond its borders. The full time community of young adults will live together, and life will be centred around shared times of common prayer, meals, and mission. The Community is committed to serve with a heart of God-given compassion, expressed in various ministries in the parish and to those most in need in our city in partnership with others. Great to spend the evening with @asspcommunity. Thank you so much for your hospitality and prayer! CStF member Rebecca Coatsworth @coatsworthy shares some Christmas thoughts with us (and BBC Radio Oxford) Happy Christmas!!!! The Bishop of Oxford is now inviting applications for the first full-time residential community which will begin in September 2018. Other residential expressions are also being formed in parish and chaplaincy contexts around Oxford. For more information about how to apply, or if you would like an informal conversation about potentially joining the community.